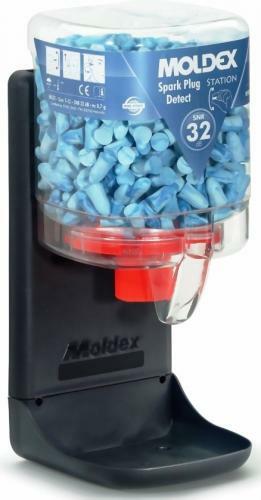 MOLDEX 7859 - Disposable ear plugs Moldex park plugs detect. Spark Plugs Detect have an imbedded metal ball make this plug fully detectable. The contoured shape gives an extra safe fit at a high protection level. The special foam formula that is Soft comfortable material which offers stiffness when rolled for easy insertion. All Moldex products and packaging are 100% free from PVC. Delivered without wall holder Moldex 7060.